While bigger titles such as Middle-Earth: Shadow of War might be dominating the water-cooler talk when it comes to Warner Bros. Interactive, gamers would be doing themselves a disservice if they were to simply ignore the 2017 lineup of Lego titles. I’ll be the first to say; whoever oversees the branding and content acquisition for Lego Dimensions is a genius, and deserves an award for consistently acquiring franchises which will undoubtedly win over gamers, old and new. The original (and still readily available) starter pack shipped with Gandalf, Lego Batman and Wyldstyle, a rather clever combination of characters that allowed for varied gameplay experiences throughout the ‘core’ story mode. Since its original release, Warner Bros. has continued to build upon its take on the ‘toys-to-life’ genre, rapidly acquiring new franchises to undergo the Lego treatment. From video game themed content (Portal, Sonic the Hedgehog) to classic 80s franchises (The A-Team and Knight Rider), Lego Dimensions continually introduces new characters and settings that appeal to a wide audience, and the newest wave of content is no exception. Informally referred to as Wave Nine, this batch is set to introduce Beetlejuice, The Powerpuff Girls and Teen Titans Go! into the game’s shared universe. 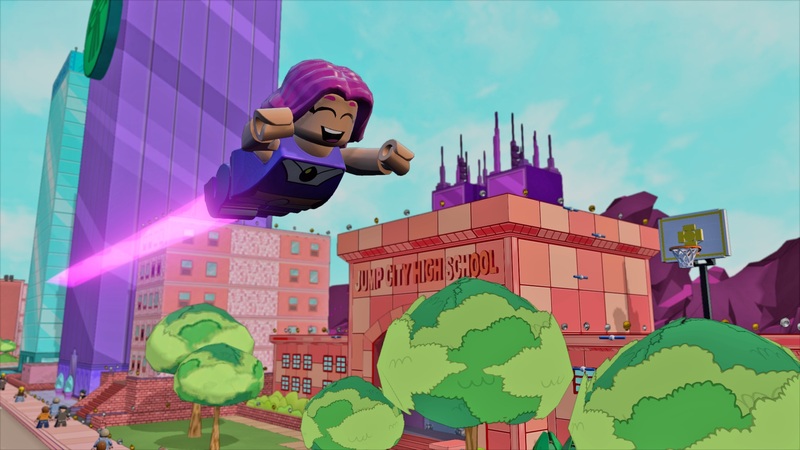 While we didn’t get the opportunity to check out each in-game world, we were able to dive into the world of Teen Titans Go! and try out each of the new characters. As one might expect for Lego Dimensions, the minute-to-minute gameplay remains largely the same, with battles, races, hidden collectibles and puzzle solving serving as the foundation for most of the side quests. With no new story or level packs in this new wave, the main attraction this time around comes from the new characters and their worlds. It’s the attention to detail that really shines here, though. Beetlejuice, for example, walks around the environment in an almost comical fashion, also excelling at hand-to-hand combat (an advantage of being undead). On the other hand, the Teen Titans Go! characters are all voiced by their cartoon counterparts, and the game even features alternate versions of both Cyborg and Robin, which match up to their more youthful appearance on the show. 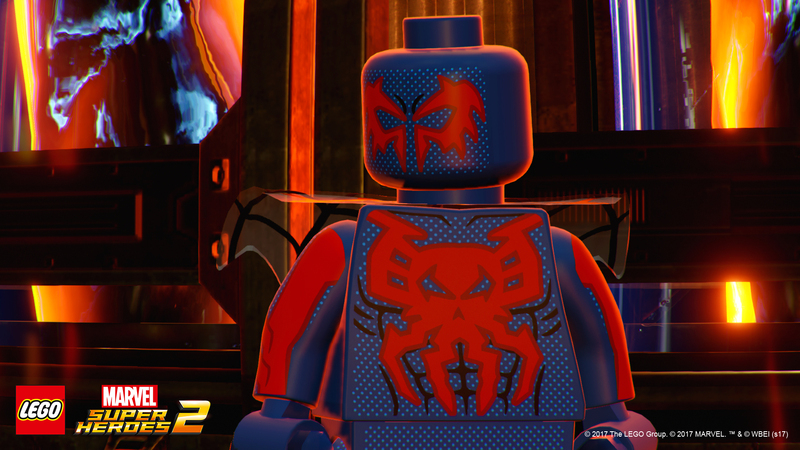 For those who prefer a full cast of superheroes, Lego Marvel Super Heroes 2 will undoubtedly scratch that itch. As you might expect for a Lego supehero game, the number of playable characters on display is staggering. The original Lego Marvel Super Heroes featured over 150 characters, and while our hands-on time at E3 was limited to the cast of Guardians of the Galaxy, the unlock screen featured an equally impressive number of (locked) heroes. The demo kicked off on Star-Lord’s ship, alongside Groot (and at times, Baby Groot), Gamorx, Drax and Rocket Raccoon. After a brief session of destroying and rebuilding items, you’re quickly whisked away to the surface of Chronopolis, a brand new open-world which serves as a junction of sorts, connecting areas such as Attilan and K’un-L’un. This new locale not only serves as the game’s way of bringing different characters and worlds together, but it also ties into the story, which sees the heroes travelling across different realities and periods in time in order to take down Kang the Conqueror. The concept of time also finds its way into the on-the-ground boss battle with Celestial. As Star-Lord and his ragtag crew try to find a way to take him down, the game will slowly warp the flow of time. At one point, a tear in the flow of time occurred, causing a destroyed attack ship to travel backwards in time. As a result, it was left in pristine condition, allowing us to hop in and reign some firepower down upon Celestial. The boss battle also shines some light on some rather neat gadgets and tools at your disposal, including a gravity mine of sorts, which attracts everything around it (not unlike a black hole). Of course, if you’re a Marvel fan, you’ll probably appreciate the small touches that developer Traveler’s Tales have taken the time to include. Whether it be witty one-liners from Rocket, or songs from Star-Lord’s mix tape (in this case, “Come And Get Your Love” by Redbone), we’re excited to see just how much Marvel related content Warner Bros. and Traveler’s Tales can include in one package. 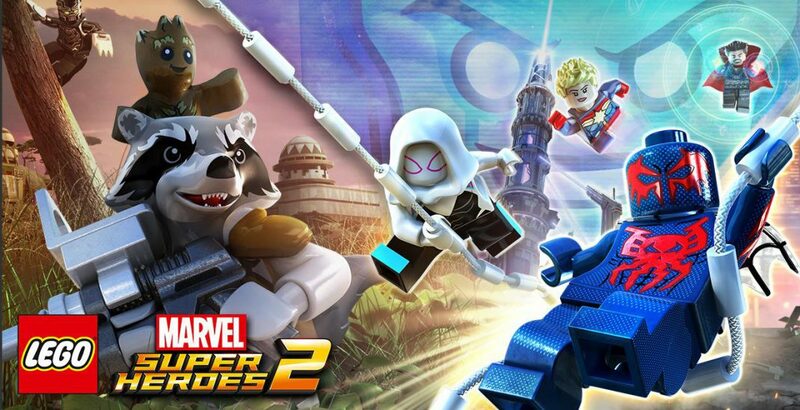 Lego Marvel Super Heroes 2 is due out on November 14, on PlayStation 4, Xbox One, Nintendo Switch, and Microsoft Windows. Those looking to get their hands on wave nine of Lego Dimensions are in for a shorter wait, as it will be released on September 12.